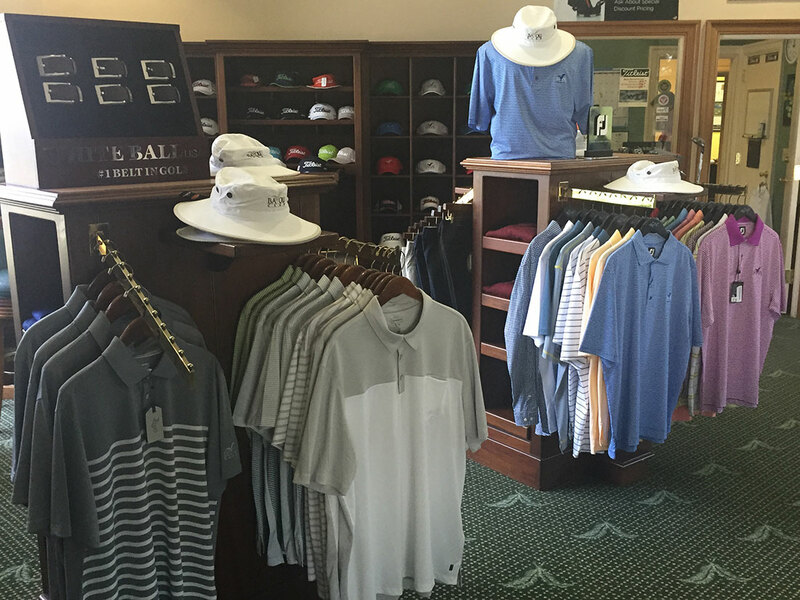 The Bayou Club's fully stocked Golf Shop has everything you need for your game. Members enjoy the best pricing available on all golf merchandise. The Bayou Club Golf Shop features a wide variety of leading brands of apparel, shoes, balls, and golf accessories by the best brands in golf including FootJoy, Bobby Jones, Greg Norman, Oakley and more. Our PGA Professional staff works with Titleist, TaylorMade, Callaway and other major club manufacturers for special orders which will enable you to be custom fit. We have an extensive inventory on-hand, however we are happy to special order items for our Members. 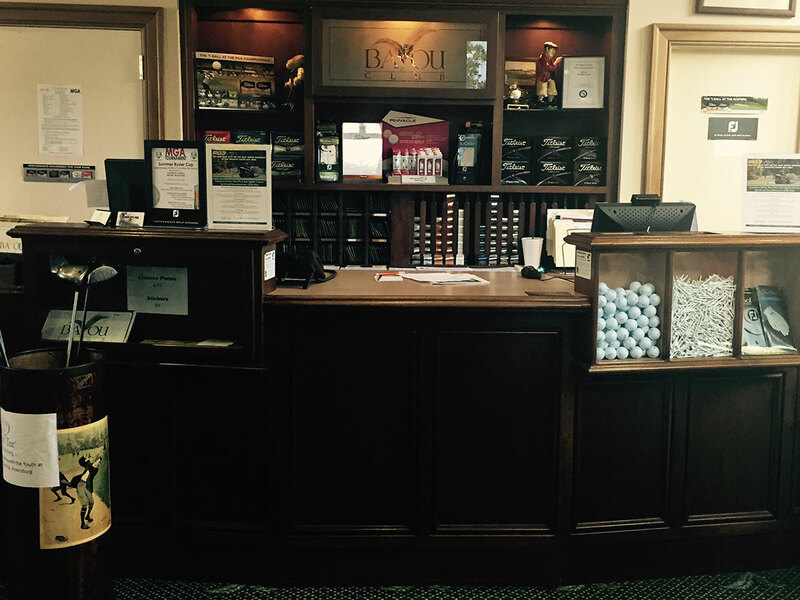 Equipment repairs, rental clubs, and golf lessons are easily arranged through our courteous staff. The Bayou Club also offers Annual Handicap Services.